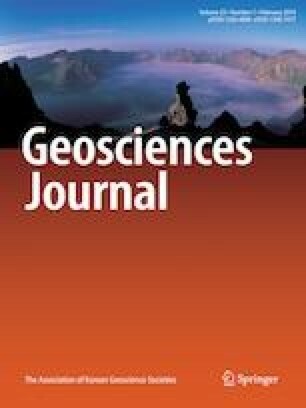 This study analyzed groundwater level changes in a monitoring well located in Korea’s Yangsan fault zone, induced by local (Gyeongju and Pohang) earthquakes in Korea and offshore earthquakes around the world. Among offshore earthquakes, the MW 7.3 Honshu earthquake changed raw groundwater level of a maximum of 10.3 cm. The groundwater level data were analyzed by using the Hilbert-Huang transform (HHT), modified moving average (MMA), and simple subtraction (SS) methods. In the first stage, earthquake-induced groundwater level changes were identified using the MMA and SS methods because the SS and MMA methods may excellently be used for identifying earthquake-induced groundwater level anomalies as a convenient way to identify abnormal fluctuations. Then, the HHT technique was applied to the 2016–2017 groundwater level data for comparison with the MMA and SS methods. The HHT method has been proven to be the most accurate method for detecting the effects of earthquakes on groundwater levels. The differences of water levels analyzed by the HHT method and the other two methods resulted in between 0.4 and 1.9 cm, showing closer levels between the HHT and SS methods.